Having been schooled in the Rixos philosophy in Turkey, Mouhamad Hadla has now been appointed hotel manager at Rixos the Palm Dubai. Here Breaking Travel News catches up with him to discus what is on offer at the property, what separates it from its competitors in the busy Dubai luxury sector, and what it means to be nominated by the World Travel Awards. Breaking Travel News: How does it feel to have been appointed to such a prestigious position with one of the leading hotel brands in the Middle East? Mouhamad Hadla: I have been part of the Rixos family for two years already and I worked closely with the pre-opening team. I also had the privilege of spending time with Rixos Hotels in Turkey, where I became acquainted with their company philosophy and the way they project the “art of Turkish hospitality” in each and every way. Having been appointed as the hotel manager certainly is a wonderful feeling and I feel more than ever extremely committed to representing one of the fastest growing global chains in the world, managing the Rixos the Palm Dubai, a key property on an iconic location. 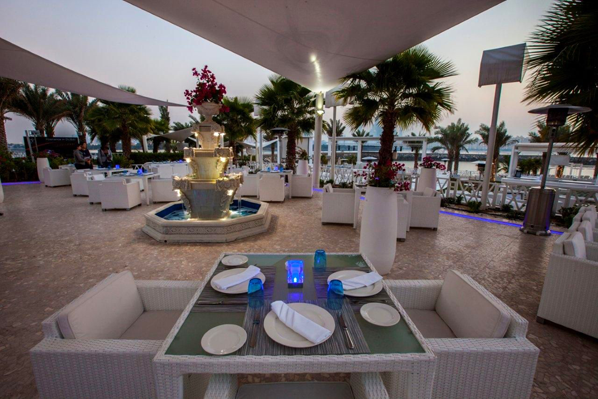 BTN: Can you tell our readers a little about what is on offer at Rixos the Palm Dubai? MH: Rixos the Palm Dubai is a superb resort combining leisure and business elements along with family entertainment and activities; the hotel is offering refreshing propositions for both business needs as well the needs of today’s savvy travellers in a sleek and modern environment. Our 231 very spacious guest rooms and suites enjoy in their vast majority spectacular views of the Gulf Sea and Dubai skyline from their private balconies coupled with individualised amenities and food and beverage selections. Our property also offers multiple options for water sports enthusiasts, young families, honeymooners, groups of friends or company incentives, who simply wish to capture the best of Rixos experience on an iconic location such as the Palm Dubai. 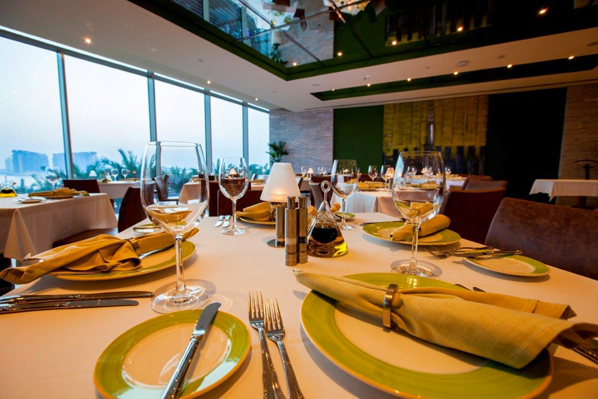 Rixos the Palm Dubai recently launched two new food and beverage venues. Salt restaurant, featuring simple elements from the sea, properly seasoned, artfully prepared and served in a contemporary Mediterranean setting with striking views of Dubai’s skyline. The cuisine is dominated by liberal use of olive oil, herbs, fresh shell fish, sea food and a variety of mouth-watering Turkish mezzes. L’Olivo is the property’s latest addition. This Italian elegant eatery offers homemade dishes paired with great wines. We believe that as in true Italian tradition, dining out should be a leisurely and relaxed experience to be enjoyed with close friends and family. The cuisine is fresh, dominated by liberal use of pure Italian ingredients to ensure a premium fine dining experience. BTN: How is the luxury sector faring in Dubai at present? Which overseas markets most interest you when it comes to attracting guests? MH: Dubai and the greater UAE undoubtedly continues to be an attractive and high in demand destination; with world class accommodation and outstanding levels of infrastructure, the destination continues to generate high levels of interest across the spectrum of GCC and International luxury travellers, sustaining an ever robust flow of high-end tourism. Rixos prides itself as being a leader in providing exceptional hotel experience blended with the traditional characteristics of Turkish hospitality. The Rixos brand success has spawned a huge client following; we are certain that we offer a fantastic experience to those choosing to come to Rixos Hotels, at the same time attracting our own loyal client base to the regions where we are available, making it an ideal destination overall. The GCC clientele as well as the growth of some emerging markets from the CIS countries and the Asian continent are key markets of interest for Rixos the Palm Dubai. There is also a distinct increase of traffic from Turkey and Europe, who love to travel during winter time, enjoying the pleasant weather conditions and the array of outdoor activities one can engage into during this period of time. BTN: You are nominated for the title of Middle East’s Leading Lifestyle Resort at the World Travel Awards Gala Ceremony in May. How does it feel to be recognised by the prestigious organisation? MH: We are extremely pleased and honoured to be nominated for the title of Middle East’s Leading Lifestyle Resort. The credit goes to all of the team members who have contributed immensely since the beginning of the project and I would like to share this honour with them, thanking them on behalf of the company for their incredible dedication and professionalism. BTN: What do you think it is that separates Rixos the Palm Dubai from its competitors in Dubai and the wider Middle East? MH: Our most unique characteristic is Rixos Turkish hospitality. The warm welcome, “eye to eye” contact between the guests and the hotel employees; it is the energy and personal care that the guest feels the moment they step into a Rixos Hotel; it all adds up to enjoying a true Turkish hospitality experience. We consider the guests to be part of the Rixos Family during their stay with us. We wish for them to have a memorable stay, hence, all of our team goes the extra mile to ensure that this is reflected in every interaction with the guest. 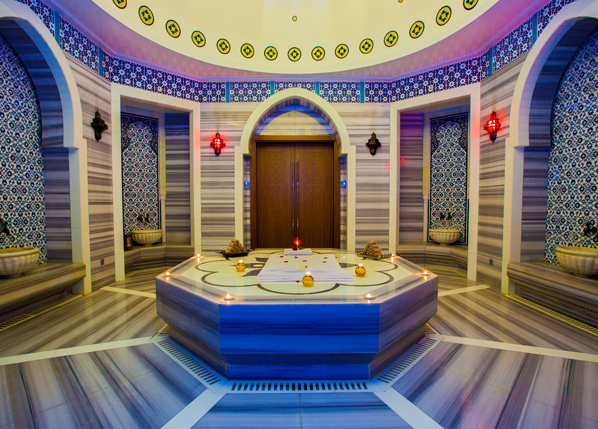 It’s this personalised touch combined with our Turkish warmth and culture that renders us unique in our guests’ mind and inspires them to return again and again to experience more. Our passion for true hospitality and pride what we do, reflects on our high guest satisfaction statistics. Moreover, the low build up ratio of 30 per cent at the Rixos the Palm Dubai, allows us to really offer all those small but significant touches that differentiate one hotel from another. Before a guest tells us, we anticipate his every need and try and act on it. What do you hope to achieve at the property over the next year? MH: The team of Rixos the Palm Dubai aspires for the hotel to leverage its positioning and to become one of the preferred destinations on Palm Dubai. We wish for both the local and regional visitors to think of Rixos as one of their must-visit spots. A hotel truly finds itself when it becomes an integral part of the community that surrounds it and when it plays an important role on every aspect of the local scene. We do not only wish for our hotel to be a major crossroad for events and to be purely a resort destination; we wish for it to be a significant citizen of the community and spearhead several community activities aiming to cater for the less privileged and all social groups that require our support. We truly believe that over the next year Rixos the Palm Dubai will be ready to further expand its contribution to its community.